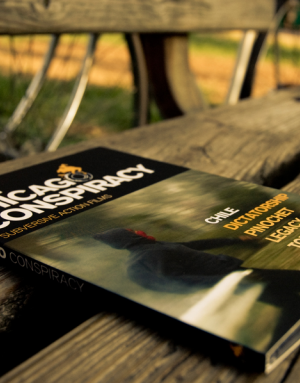 We have just recieved this absolutely excellent documentary DVD titled „The Chicago Conspiracy“, which we can only highly, highly suggest to you (and we also suggest you hurry, since we have only 5!). If you must, buy one shirt less and get this DVD. Below is a trailer, as well as the infos about it. The DVD is in Spanish with English subtitles. „The Chicago Conspiracy is a documentary three years in the making. The project was filmed in Chile, and the story extends into the Mapuche indigenous lands of Wallmapu. The concept for the film was born with the death of a former military dictator. We celebrated in the streets of Santiago with thousands of people after hearing the news: General Augusto Pinochet was dead. His regime murdered thousands and tortured tens of thousands after the military coup on September 11, 1973. We celebrated both his death and the implication that the political and economic system which put him in power might itself be mortal. We began this documentary with the death of a dictator, but we continue with the legacy of a dictatorship. Mapuche conflictThe Chicago Conspiracy takes its name from the approximately 25 Chilean economists who attended the University of Chicago and other prestigious universities beginning in the 1960s to study under the neoliberal economists Milton Friedman and Arnold Harberger. After embracing Friedman’s neoliberal ideas, these economists returned to assist Pinochet’s military regime in imposing free market policies. They privatized nearly every aspect of society, and Chile soon became a classic example of free market capitalism under the barrel of a gun. Student conflictThe Chicago Conspiracy is a new vision of the military coup that does not focus on the story of the Allende government. Even before Allende’s election, there were armed revolutionary organizations throughout Chile, such as the Revolutionary Left Movement (MIR). During the course of Allende’s rule, some factions believed that a reformist government would never bring an end to the capitalist system. This was the main group to lead an armed defense against the military once the coup was initiated. As the dictatorship took hold, the number of nationwide armed organizations grew to include MAPU-Lautaro and the communist Patriotic Front of Manuel Rodriguez (FPMR) in addition to the MIR. Luisa Toledo and Manuel VergaraThe Chicago Conspiracy is about the students who fight a dictatorship-era educational law put into place on the last day of military rule. 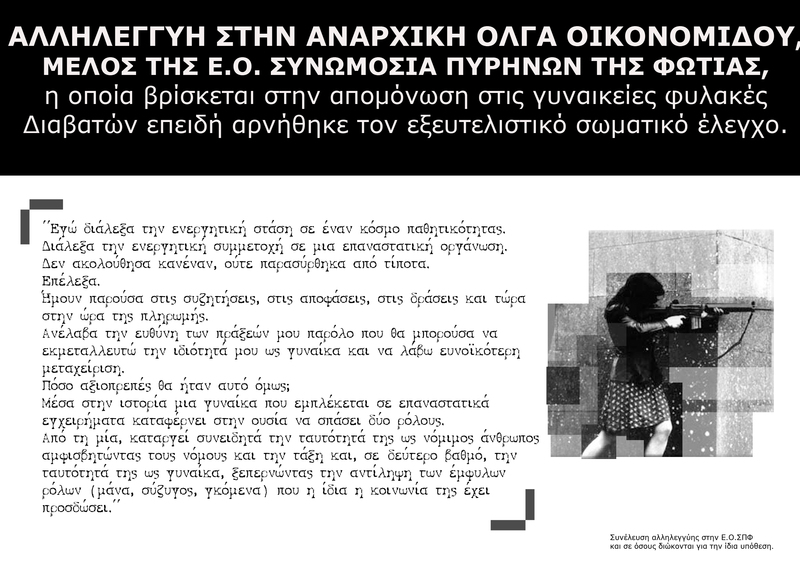 Over 700,000 students went on strike in 2006 to protest the privatized educational system. Police brutally repressed student marches and occupations. Du browst gerade in den Fire and Flames Weblog-Archiven nach dem Tag 'chile'.